Michael Sabia can’t catch a break. First he faced opposition for even being considered for the role of CEO of the Caisse de dépôt et placement du Québec (CDPQ) back in 2009. It was quickly pointed out that an English-speaking Canadian, born in Hamilton, would become the head of the Caisse, the institutional investor that manages a portfolio of public and para-public pensions in Quebec, arguably one of the province’s greatest economic accomplishments. Seven years ago, former premier Bernard Landry was concerned Sabia would bring in unwanted “Canadian national culture” (whatever that means) and poison the well of the cornerstone of Québec, Inc. Under Sabia’s leadership, the Caisse has grown considerably since losing $40 billion in 2008. At the beginning of this year, it managed net assets of $248 billion. Now the Caisse’s leader wants to invest in public transit development in Montreal, proposing the single largest transit development project since the first iteration of the Métro was built fifty years ago, not to mention the prospect of 7,500 jobs created over the next four years. If everything works out, within four years a vast geographic area within Greater Montreal will have access to a twenty-nine station mass transit system connecting the urban core with Brossard, Deux-Montagnes, Sainte-Anne-de-Bellevue and the airport. And we’ll likely be riding in automated trains built by Bombardier. Nonetheless, Pierre-Karl Péladeau, among others, is concerned the new system ignores the central and eastern parts of the city. 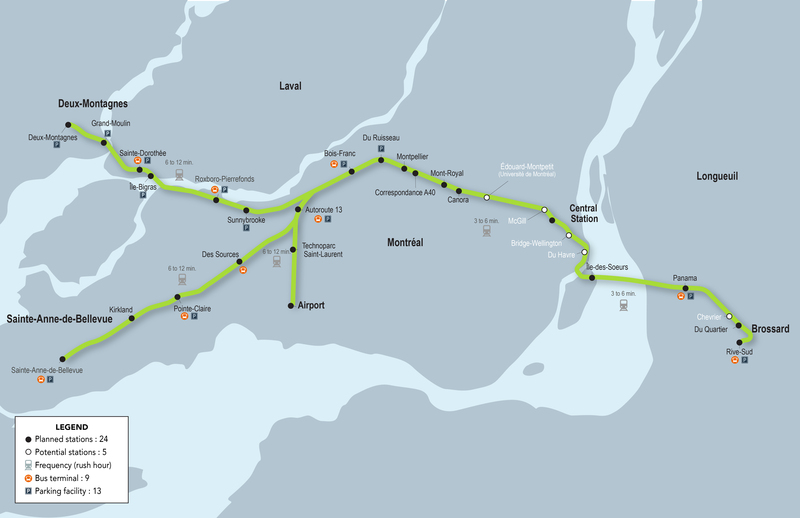 The Parti Québécois leader undoubtedly wants some kind of commitment to the long-planned Blue Line extension towards Anjou, as the PQ got the ball rolling on studies for this long-planned extension with much fanfare back in 2012. But let’s be real for a moment: all of Greater Montreal has been neglected vis-a-vis public transit development for quite some time, and it’s entirely a consequence of the unending public transit ping-pong match between competing parties and levels of government. The Caisse’s plan is ambitious, but right now is no more real than the Blue Line, the Azur (still haven’t rid it despite near daily Orange Line use… it’s a ghost) or a catapult to the Moon. It’s completely unreasonable to suppose any part of the much-discussed light rail system proposed Friday is in any way, shape or form politically-motivated. If anything, the proposed light rail system seems motivated chiefly by keeping costs comparatively low. The plan, if realized, will use existing, automated technology (likely the Bombardier Innovia Metro design) on track largely already owned by the Agence Métropolitain de Transport. 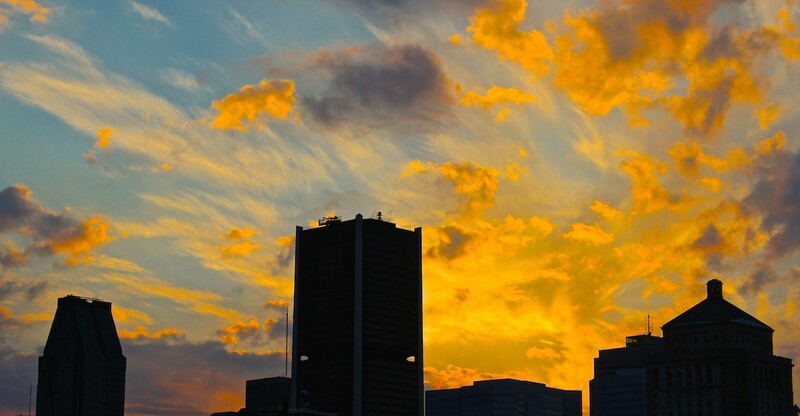 The provincial public pension investor has proposed a five and half billion dollar public transit expansion project, the single most audacious plan seen in Montreal in fifty years, and is volunteering $3 billion to kickstart the program. And this is precisely what we want the CDPQ to do: invest our pensions in necessary mega-projects that will create local jobs, employ local expertise, and are based on prior recent successes so as to guarantee a strong return on investment. The CDPQ is one of the financiers of Vancouver’s Canada Line, a light rail line that connects the city’s downtown with Richmond and the airport, opened in time for the 2010 Winter Games. So they’ve done this before and it works, and Sabia’s recent success at the helm of the CDPQ gives us reason to be hopeful this proposal will succeed. If the full version of the project is realized by 2020, Michael Sabia and the Caisse will have managed to out-do the comparative light-speed pace of the construction of the first iteration of the Métro, and a vast swath of Greater Montreal could be served by this system within four years. Though the proposal does not include branches towards the eastern sectors of the metropolitan city, the sheer number of people this system could conceivably serve would be so great there would ultimately be a net benefit to all sectors of the metro region by virtue of fewer cars on our roadways and highways on a day to day basis. Crucially, given the expected use of existing railway infrastructure, it’s entirely conceivable this system could be expanded to all corners of Greater Montreal. Moreover, light rail systems (such as this one) can share the track with larger heavy rail, such as the AMT’s current commuter train network. Either the Caisse’s LRT will gradually replace the AMT network, or they’ll share the track and compliment one another. Either way, if this system is fully realized, we all get to breathe a little easier, and congestion becomes less of a problem. But herein lies the rub: though the CDPQ’s plan is ambitious and headed in the right direction (both in terms of how it will be financed and what parts of the city it will connect), it needs to be integrated into the rest of the city’s mass transit systems from the get-go. I was very happy to see that the Caisse has indicated a desire to do so in that they listed two potential stations (Edouard-Montpetit and McGill) that would allow the light rail system to connect directly to the Blue and Green lines of the Métro. This not only makes the LRT system more useful and accessible generally-speaking, it would also permit the Blue Line to connect more or less directly to the urban core, long the line’s major handicap. I’ve always been in favour of extending the Blue Line to Anjou if the line is first connected, by means of the Mount Royal Tunnel, to the city centre, as this will help get that line’s ridership up to where it ought to be. As it is, it’s the least used line in the Métro network. There’s no sense extending it if the root cause of its underperformance isn’t addressed first. So if I could make a very strong suggestion to the Caisse it is this: work with the STM and AMT and ensure the whole plan illustrated above is realized as the first phase, and seek the greatest possible degree of integration with the extant Métro and commuter rail network. In this way, and perhaps only this way, will they quickly recoup their investment and lay the foundation for the Blue Line’s eventual extension. I really can’t imagine it working out in any other way. I’m oddly hopeful politics will not rear its ugly head and screw up this plan, as I’m convinced we can’t afford to wait much longer and that it would ultimately prove exceptionally useful in accomplishing what should be a clear goal for our city: get cars off the road and increase daily mass transit system usage. I find the Caisse’s plan very encouraging, despite my near endemic cynicism and the ample proof we’re not very good getting things built or delivered on-time. But who knows, maybe things change. Or maybe once in a while it takes an outsider to get us back on track. Initially I wanted to write about how this proposed system will work in the broader scheme of things, what this might mean for homeowners living in the expansive corridor to be served by this light rail system, and what kind of organizational response is needed to provide a truly world-class mass transit system at large. But given that we’re already 1300 words in, that’ll have to wait for another time.